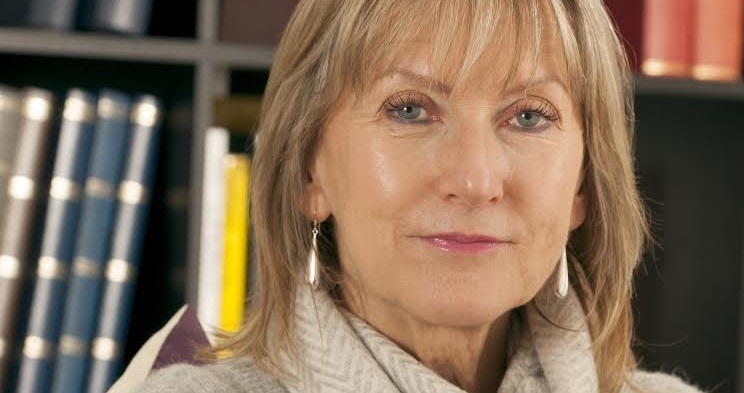 Susanna Beard is a newly-published novelist who originally trained as a linguist and worked in PR for some years. After taking several writing courses, she embarked on her first project, Dare to Remember, which was published by Legend Press this month. 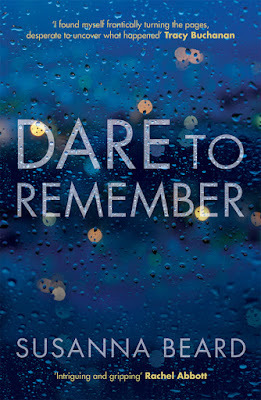 Dare to Remember is the story of a young woman's recovery and struggle to reclaim her own memories following a traumatic attack that left her best friend dead. In Dare to Remember we meet Lisa some months after she and her best friend have been attacked. What interested you about this aspect of a victim’s story? The premise for the story came from the idea of walking, and specifically walking dogs, as therapy. Clearly if Lisa is walking her dog as therapy, something needs to have happened to her - and that’s where the idea came from. I’m much more interested in people’s behaviour and their reactions to what happens to them than I am in the actual events. It’s a fairly harrowing subject matter, what prompted you to address this period of a person’s life and did you find it difficult to go to hard places with Lisa? I think everyone has to go through some difficulties in life and I wanted to look at how events, large or small, can change the course of a person’s life – not necessarily in a bad way. It wasn’t difficult to imagine how Lisa might feel, but I worked hard to ensure her reactions are authentic – I really put myself in her shoes. From the sessions Lisa has with her psychotherapist and the overall picture of her mental health it seems you have a good understanding of the area. Do you have any personal experience with this or did you have to do a lot of research for the book? I did some research – particularly into PTSD and psychotherapy. I have had therapy at various points in my life, though not for PTSD or depression. At the same time, depression has had an effect on my family so I read – and learn - a lot about it on a daily basis. Like Lisa, who chooses to isolate herself while she seeks a safe place to recover, your narrative deals with Lisa’s trauma almost in isolation to the rest of her life (past and, to an extent, present). What made you choose this way of exploring her story? I wanted to look particularly at how a person’s life can change dramatically, how that change can consume them until they decide to move on, and the process of recovery and what it entails. This trauma could define Lisa for the rest of her life, but she chooses not to let it, and acts upon that decision. Lisa finds friendship in a local woman who is in the middle of a turbulent marriage. How important do you see friendship as in the healing process for Lisa/anyone and how much did you want Dare to Remember to be a novel of (female) friendships? I didn’t start out with that idea, but I did want to emphasise the benefit of friendship in supporting people who are having difficulties. It’s hugely important to Lisa, after she loses her best friend, to find another - and to have the confidence to confide in her. The danger for Lisa is that in hiding herself away from people to protect herself, she could end up isolated and unable to get back into society. Riley, the dog that Lisa adopts, is also a major part of her recovery. Dogs are a big part of your life too. Can you tell me how valuable you think a dog can be to well-being? I think a dog can be hugely valuable to both individuals and families. I’ve met many people in the park who live on their own, and the connections – and friends - they make through dog-walking are vital to their well-being. Dogs are being used now to help autistic and other isolated people to cope with the world, so the benefit is well recognised. They offer exercise, responsibility, unconditional love, affection, a social life – I could go on! I’ve seen a few different ways of the describing the genre Dare to Remember fits into. For yourself, where would you place it? I call it a psychological drama. There are elements of thriller and crime too. What books / authors did you think of while you were writing the book? Ha! I read widely, even while I’m writing, so there weren’t specific books or authors associated with Dare to Remember. I’m a huge fan of Donna Tartt, Elena Ferrante, Isabel Allende, Margaret Attwood, Hannah Kent, Sarah Winman, Anthony Doerr and many others…though I wouldn’t ‘dare’ to put myself in the same category! Writing a first book is hard. Was this your first attempt (complete or otherwise) and how did you find the process? It was my first attempt and I loved the process. I also studied novel writing through courses (Faber Academy) and reading about creative writing. The entire process took probably 18-22 months (bearing in mind I also have a day job, which thankfully is flexible). Have you started working on a second novel – if so, can you tell me anything about it? I have indeed – it’s in the editing stages. It’s called The Truth Dares and it’s partly set in Lithuania. Again, there is a crime, around which my character’s story is developed, and it’s more about the people than the events. Which authors / books do you enjoy reading? See the above names. I also like Scandinavian novels and Victorian writers – but I read entirely eclectically. Over time, though, I’ve given up trying to finish a book I felt wasn’t well written. There are too many good ones to spend time on a bad one! Word for today: Plummet. It’s just delicious!